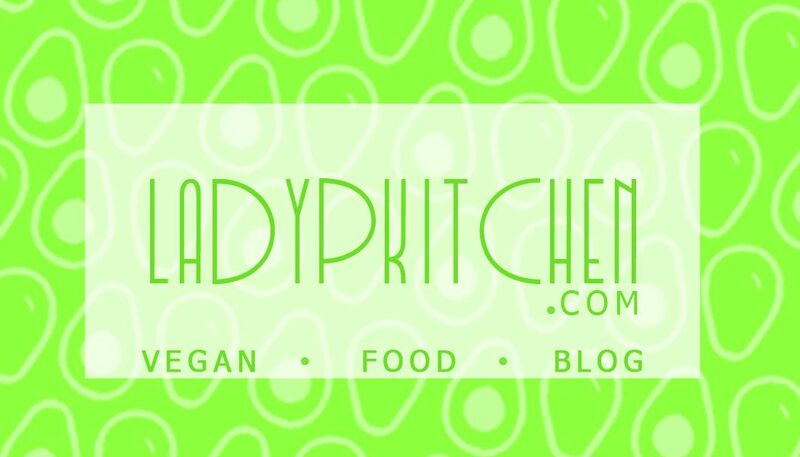 LadyPKitchen Vegan Food Blog – Food We Love. You'll Love. Food We Love. You'll Love. Clean your jars and dry thoroughly. Use glue gun to stick the wick tabs to the bottom of the jars. Make sure dry. Let wax cool a little bit then add 50 or more drops of essential oil. Pour wax into jar or container. I dropped in rose petals at this point and watched them settle while the wax dried. Leave to cool et voila! So easy! Hi guys! I am going to share my top 5 vegan snacks (and sorry I don’t have photos of them) below. Let me know if theyre your favourite too! Hippeas. Cheese & love flavour. You can buy them in Holland & Barratt for £1.19 for a small snack size bag or get a large bag (my personal fave) from Asda for £1.99! They are actually really cheesey tasting and I find I do miss cheese flavoured things… (not necessarily cheese though! Weird). Dark Chocolate Coated Ginger. From Holland & Barratt you can buy little nuggets of dark chocolate crystallised ginger. We love them!! Good to settle your tummy too. They cost £2.69 for 250g bag. We snack on these a few nuggets at a time after dinner then fold the packet up and put them away! Theyre quite fiery so doubt you could eat the whole pack in one sitting. Smoothies. For a morning snack that is a bit healthier, I whizz up banana, spinach, almond butter, almond milk, oats, a squeeze of agave and chia seeds. I always feel like its a great start to my day and since being vegan we have had a lot more smoothies! Its a sure fire way to make sure you get raw goodness in your bodies quick! Delicious too. Oreo’s. These are always a good idea in a vegan’s world! Crush them to make a base for a sweet pie, crumble over nice cream or simply finish the whole pack in one! Oops! Asda are selling them for 50p. Can’t go wrong with that. Nuts. Our cupboard always has an endless supply of nuts and dried fruit so I tend to make granola out of it. See my Easy Granola recipe for more! I shop in Grapetree and H&B for big bags of nuts. So I hope these inspire you a bit and even if you are not vegan… you never know you might accidentally be eating vegan more than you think. Pour the oil, syrup and extract into a mixing bowl. Tip in the dry ingredients except for the dates, coconut and spices and stir well. Pour mixture onto baking tray and spread evenly. Bake for 15 mins. Then add coconut, dates and spices and mix. Bake for another 10-15 mins. Your house will start to smell amazing by now, then take out and enjoy topped onto smoothie or yoghurt. Turn oven to 180 degrees fan. Lay the coconut chips on a lined baking tray and spread evenly. Shake over the liquid smoke and maple and get your hands stuck in! Make sure every chip is covered. Bake for 15 mins or until golden and crunchy. Flake over any dish to make it truly luxurious! You won’t miss real bacon that’s for sure! Top things to do with the mighty chickpea! Aside from the fact that I am loving the word ‘aquafaba’ at the moment, which is the water or juice in canned chickpeas… the actual chickpea is extremely versatile, a part of a vegans staple diet and just all round good for you. See some ideas below for what you can do with a can of mighty chickpeas. – Chickpea, carrot and courgette fritters: Great for a snack and really easy to whip up! I serve mine with a generous amount of houmous (which takes me to my next point). Check it out from my ‘recipes’ section. – Houmous: There are loads if varieties of houmous/hummus/houmus or however you want to spell it. Whip up a couple of cans of chickpeas in a blender with some tahini, garlic, olive oil and herbs and you have a simple houmous to have with literally everything and anything. – Spicy chickpea korma: Chickpeas really bulk out a veggie or vegan curry and give max flavout too. Use 1 can of washed chickpeas to make this curry found in my ‘recipes’ section and let me know what you think! I hope I have inspired you a bit to enjoy a veggie starter, accompaniment or meal one day. Leave a comment or let me know somehow what you think! Mix everything together in a jar and leave in the fridge overnight. Enjoy the next morning. If it looks too stodgy then add a bit more milk! Start roasting the cherry tomatoes in a fan assisted oven at 180C, then pop in the falafel to warm through too. Add the chopped mushrooms to a frying pan with spraying oil and keep frying until golden. Empty baked beans into a microwaveable bowl and blitz for 3 or 4 minutes. Meanwhile, slice the avocado and plate up. Plate everything up altogether and enjoy! Slowly heat maple syrup and blueberries in a frying pan. This should start to thicken up. Mix the milk, cinnamon and vanilla in a small bowl. Dip a slice of bread into the milky mixture, shake off excess and fry the bread in a new frying pan with the grapeseed oil. Until both sides and golden. Spoon over the blueberry mixture and enjoy warm! Quite simply, toast both sides of the bagel and spoon over the peanut butter and sprinkle with chia seeds. Top with the mashed banana. Not too long ago I bought and cooked with my first pack of tofu! Diced it up in this Thai green curry and cooked a Pad Thai alongside. Perfect! Thai flavours and smells feel like home to me, no idea why! Fry off the garlic, chilli and red onion (adding a little more oil if necessary) and fry for 3-4 minutes, or until the onion is tender. Mix in half the peanuts and spring onions and serve the rest on top. Drain the tofu, wrap in kitchen paper to remove excess water for 20 minutes, cut into 1 cm pieces and place in the soy sauce to marinate. 2. Bring a pan of water to the boil and add the green beans, peas and sweetcorn for a minute. 3. Heat the oil in a wok, add the green Thai curry paste and cook for 2 minutes stirring frequently. Add in onion, peppers, garlic and chilli. 4. Add the tofu, stir lightly until coated with the curry paste then cook for a further 2 minutes. 5. Pour in the coconut cream, bring to a simmer, then add the green beans, peas and sweetcorn. Cook over a medium heat for 4-5 minutes then add sone of the spring onion. Simmer once again for a minute then lastly tip in the fresh lime juice. 6. Serve with the rest of the spring onions.